While the new solution by SAP is without a doubt the platform of choice for any company that is growing rapidly and has future expansion plans, there are many questions that the AFF community is looking for answers on. We conducted a webinar based on a frequently asked questions raised by those in the fashion community, with Dr. Christoph Schröder, Global Vice President - Industry Business Unit Retail from SAP as the featured speaker. What is the business case for moving to S/4HANA and where will I see tangible improvements to our performance? What should be my approach? i.e. should I do a greenfield implementation or a brownfield? How do we handle the migration? What tools are available for me? How will an S/4HANA implementation impact my operations and what will happen to my existing landscape including customizations? How do we manage the organizational transformation? These are all legitimate concerns and need to be vetted carefully before you take the leap in implementing an S/4HANA solution. Some of the ways we’re helping brands is by working with them to identify the answers to these questions through assessment workshops and conference room pilots. For instance, we sat down with a client recently to assess the path from an FMS landscape to S/4HANA. Similarly, a Jewellery Retailer; a long-time ECC customer, is running a conference room pilot utilizing the attune Fashion Suite. 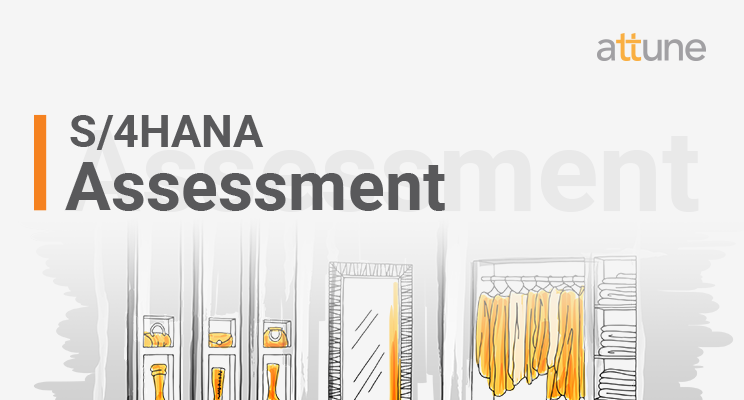 If you’re interested in heading down the S/4HANA path, but need more clarity before you do, we can help you get start with an Assessment to help provide answers.